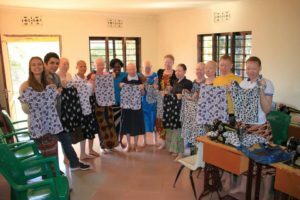 In my first blog post about my 2018 trip, I spoke about change. Change is going to happen. Sometimes it is good and some change is not so good. My passion on these mission trips is something I never want to change. Children and adults with albinism has been what has touched me the most on my three trips to Tanzania. The one thing I wanted to visit again is the albino compound. I was happy to see positive changes from my last visit.The first time I went to Buhangia albino compound, there was much chaos with the children. The next time there was a positive change and this time, the change was even bigger. The young children sat politely, with little chaos because there was more supervision and fewer children. The reason they must live in a compound with high walls is for protection. Witch doctors teach their body parts can be used for charms, so they can be attacked, maimed, and slaughtered for these body parts. Thanks everyone for the donations of both hats, sunglasses for me to bring on this trip for the younger children. 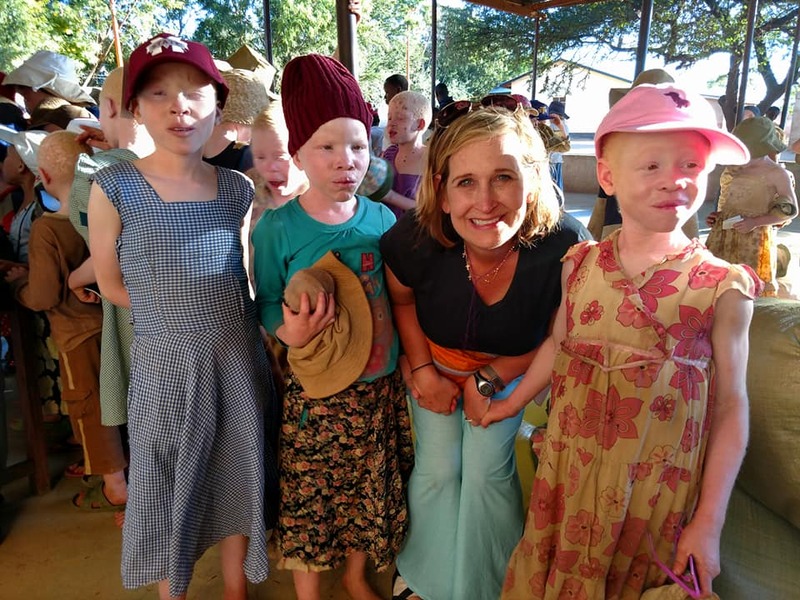 It made my day to see the faces of the children as they donned their new glasses and hats. 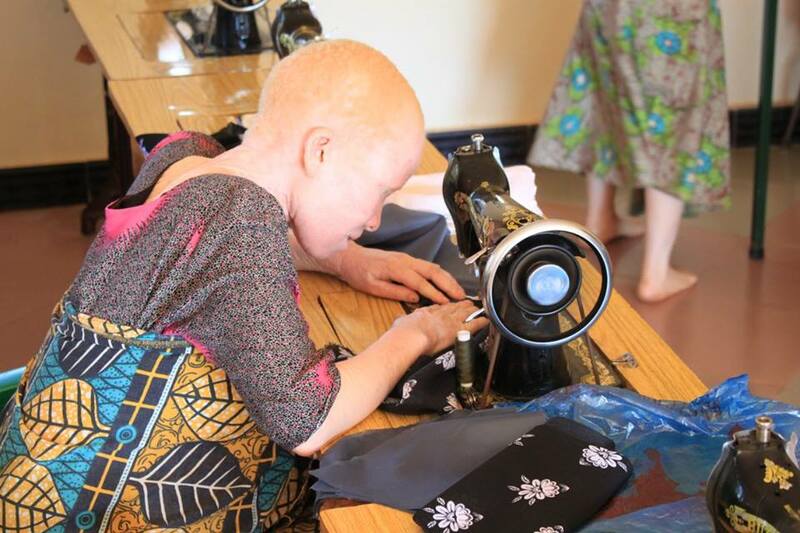 One of the programs successfully training them to return is called Right to Live with Albinism. 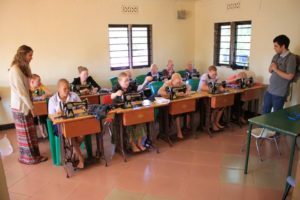 These young women live at the Deaconess house and are taught skills in sewing, baking, ointment making, and entrepreneurship skills. 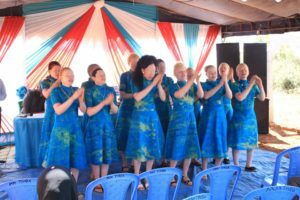 This SELVD supported ministry also receives funding from the Finnish Evangelical Lutheran Mission(FELM). They recently graduated their third class. 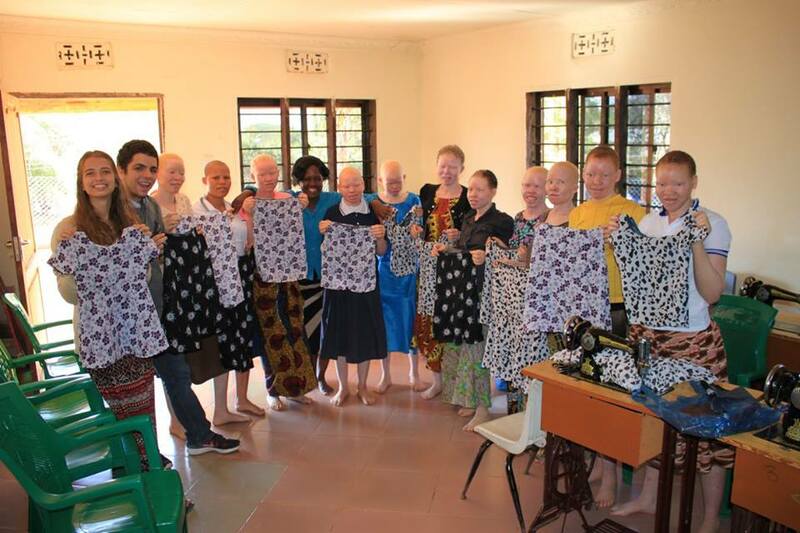 A fund raiser at each graduation helps the students to leave with a sewing machine and fabric to start their business.